Rumoured to have asked on several Avalanche at the deadline, including Duchene and Landeskog. The Blackhawks made a lot of inquiries on forwards at the deadline, and a ton of names leaked. Among those names was Matt Duchene. Seems unlikely given the Blackhawks cap situation. Came up near the deadline as a team that was interested but unsure how to make a trade happen. The Ducks are fairly set down the middle, but popped up as a possible destination during the regular season. The Jackets have a bit of a depth issue down the middle, and those close to the team think Duchene could be a target this offseason. The Preds have kicked tires on a variety of elite centers for several years. This summer, they might finally make that move. Lost a big piece of their center ice when David Backes departed last summer. Could use another top flight centerman and/or winger. If the San Jose Sharks don't re-sign Joe Thornton and/or Patrick Marleau, might they use that cap space to go after Duchene? They're a team that always lurks in the weeds. Don't count out the Golden Knights either. The Isles want to prove to John Tavares that it's worth his while sticking around in Long Island (or Brooklyn or wherever they end up), and adding a piece like Matt Duchene might do the trick. The Isles showed interest in Duchene at the trade deadline, but nothing got done. Have shown interest for over a year and were one of the first teams to inquire last season. The asking price was too much for the Sens at the deadline, but the offseason is another story. Made a push for Duchene at the deadline. 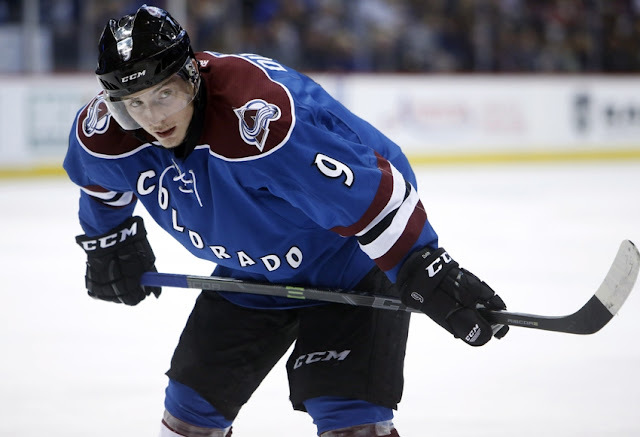 They have the assets the Avs desperately need: young defensemen.